The revised Action Plan includes up-to-date timelines and actors, and prioritizes innovative lines of work. An integrated disease management plan contemplates the use of oral vaccines to minimise the threat of rabies, while stressing the need for enforcement of existing regulations to control domestic dogs in and around protected areas. 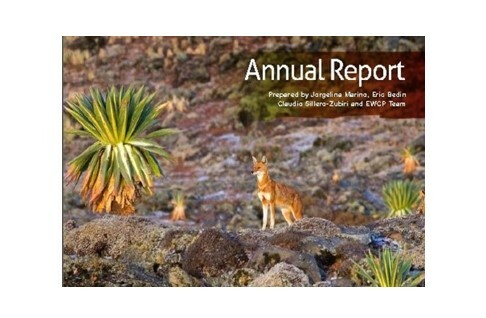 Monitoring, research, capacity building and habitat protection remain at the heart of the strategy, but conservation translocations of Ethiopian wolves was upgraded to priority action to ensure the long-term survival of the species. Education and awareness era laso needed in support of conservation and to understand the wider benefits of protecting the biodiversity and functions of Afroalpine ecosystems in Ethiopia. 2016 was marked by widespread unrest in Ethiopia affecting several EWCP sites, culminating with the declaration of a state of emergency in September. In spite of the many logistic and administrative complications that ensued, most of our activities were implemented in full and with positive results. Thanks to the hard work of our Wolf Monitors we can report that wolves in Bale Mountains are on their way to recovery from recent rabies and distemper epizootics, with a 30% growth. Many pups were born, and we are confident this will translate to successful recruitment into the population. Our monitoring teams continue to expand, with more Wolf Monitors and Wolf Ambassadors recruited across the Ethiopian highlands. We trained staff in the Arsi, South Wollo and Simien mountains and many veterinarians from local government agencies. A disease outbreaks in Delanta, the smallest wolf population, left only 2 or 3 survivors. In Bale we vaccinated over 3,300 domestic dogs in and around the National Park. 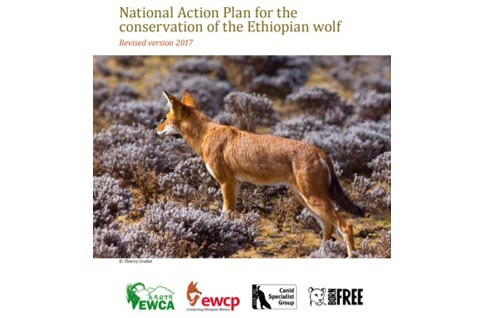 We promoted a more integrated disease management approach that will involve many actors and political support at various levels and include preventive vaccination of Ethiopian wolves.